Two years ago, Desi Priest made a horrific mistake and destroyed her family. Now, she is coming home to make amends: to her daughter Maya, who’s nurturing her own dangerous plan; to her brother Jackson, who blames himself; and to her close friend Pete, who has spent years shielding her from a devastating truth. But as Desi returns to her beloved house by the ocean, there is a stranger waiting for her. Someone who needs her help. Someone whose arrival will reveal a chain of secrets hidden for over twenty years. 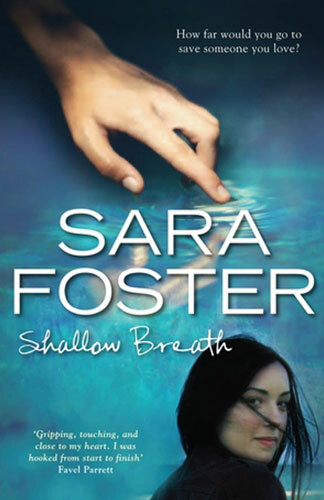 This is the third novel by Western Australian psychological suspense author Sara Foster and it is a compelling story about love, loss and freedom. Foster’s coverage of these issues goes well beyond just human experiences as the story is as much about animal suffering and conservation. Told from several viewpoints by people who each have passions that lead us into the conservation subplot, the story moves across various countries and back and forth from the past to the present. Desi Priest is returning home after a term in prison. She wants to make amends to the members of her family and friends whose lives were affected by the terrible mistake she made two years before. Her relationship with her daughter Maya is fraught, her father Charlie and brother Jackson are distant and her former best friend Rebecca is unforgiving. The arrival of the mysterious Kate, the niece of Maya’s dead father, complicates the situation further. Kate also has potentially destructive secrets to impart. Only Desi’s long-term friend Pete is welcoming. The actual event that led to Desi’s imprisonment and estrangement from these people – as well as some truths hidden from Desi herself – are gradually revealed through the perspectives of each of them. The issue of animal conservation is central to the story and some of the informative revelations – dolphin slaughter in Japan, destruction of the orang-utan habitat in Sumatra, cruelty to kangaroos and the killing of elephants in Africa – will horrify some readers. But these compelling concerns drive several of the characters in the story and convincingly explain their actions, as well as arousing our compassion for the suffering animals. Some of them will be driven to take extreme measures in their efforts to combat animal cruelty at the same time as they seek to re-shape their personal lives after Desi’s disastrous error. Foster very effectively shows how closely related we are other animals as we grapple with predicaments and threats in our own lives. It should also make us question how ‘superior’ we actually are. The animal suffering described makes for uncomfortable reading but I think Foster has successfully integrated the suspenseful family drama with the issue of animal rights. The author’s commitment to the cause shines through the book and I note that 10% of royalties she receives will go to charitable conservation projects.